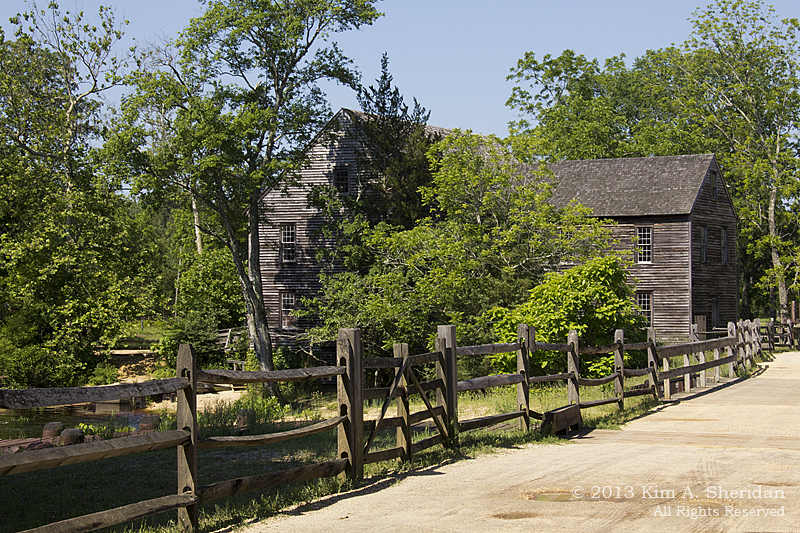 Wander deep into the heart of the pine woods of New Jersey, and step back in time. Here lies Batsto Village, a NJ Historic Site that has been restored to its 19th century glory as a bog iron industrial town. From the mid-1700s to the mid-1800s, bog ore was taken from the banks of rivers and streams, turned into iron, and used to make various household items. 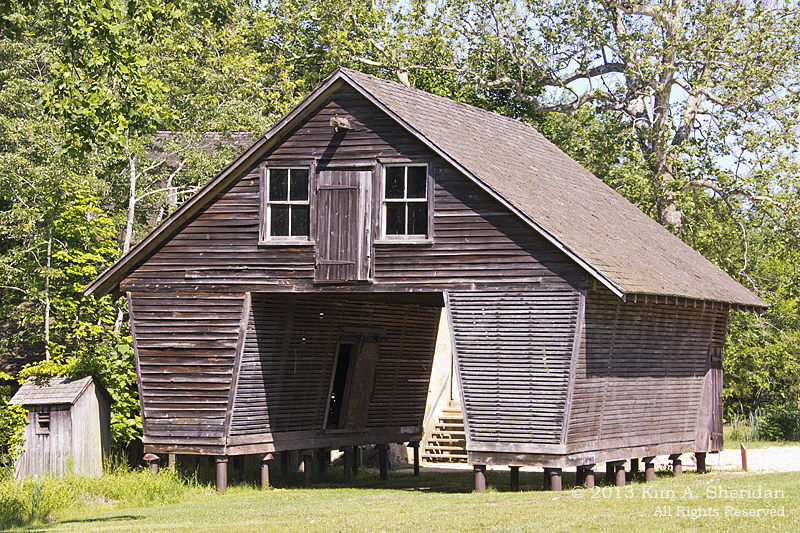 After the decline of the iron business, Batsto enjoyed a short heyday as a glass-making town. The remains of an ore boat used to transport raw bog iron to the furnace. 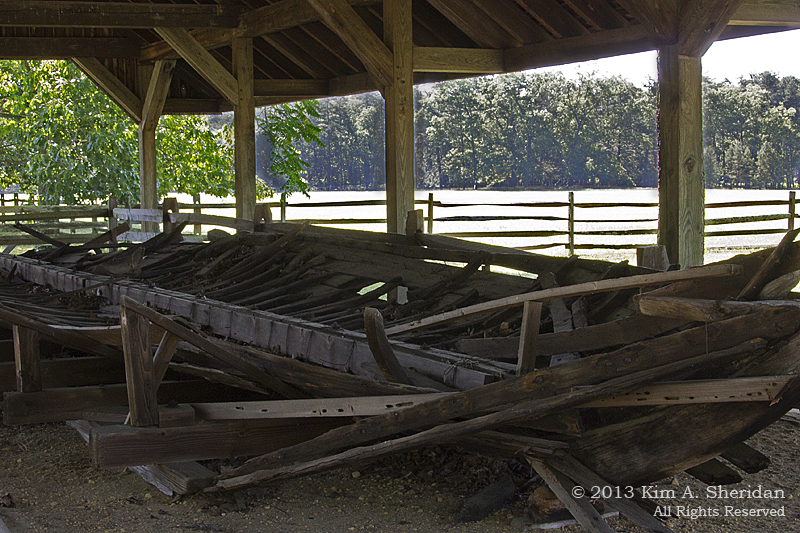 A sawmill operated at the site for over 200 years. Blacksmiths, wheelwrights and other tradesmen had important roles to fill in the life of the town. Farmers raised the grains and animals that fed the village. 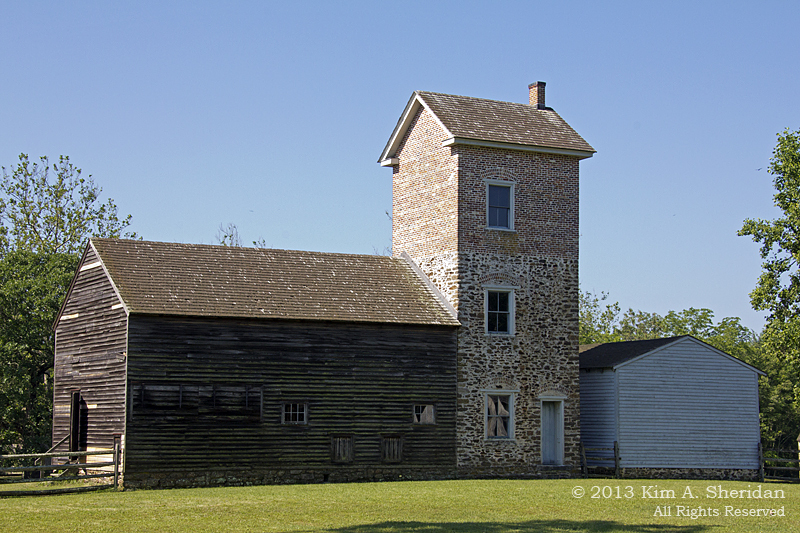 Above is the corn crib. The piggery, below was used to slaughter and process pigs. The water needed flowed from a tank in the tower to a processing tub. 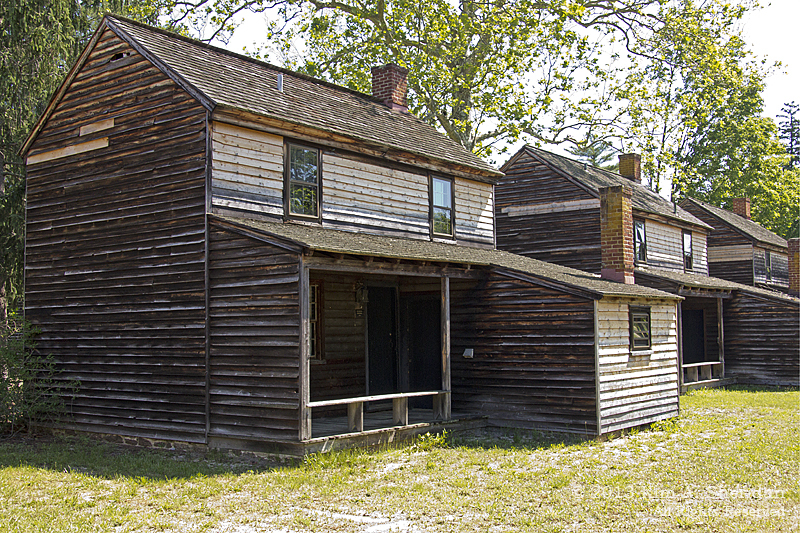 The Village houses consisted of single and duplex cottages dating to the early 1880s. They housed the village workers and their families. 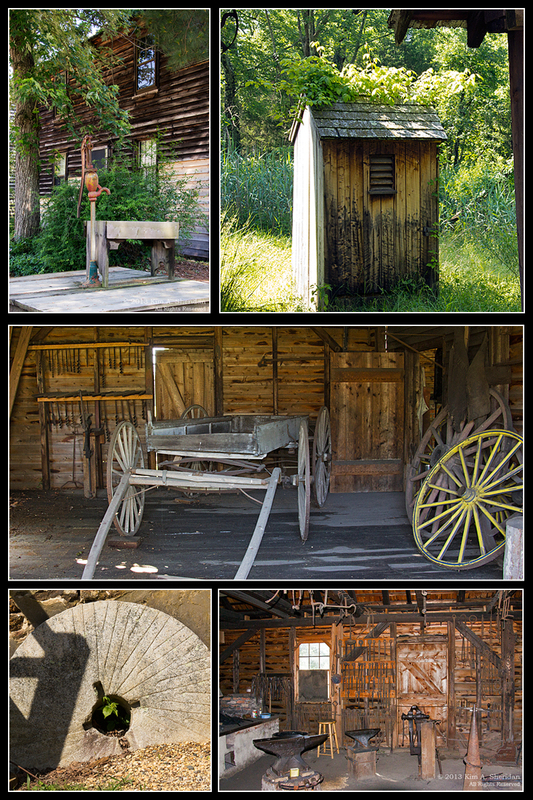 Around town (clockwise from top left): Water pump, outhouse, wagon and wheel, tools in the blacksmith shop, a mill stone from the water-powered Gristmill (1828) which ground wheat, corn and other grains. On our recent visit we enjoyed exploring the various buildings and imagining what life was like back then. Pretty spartan living! 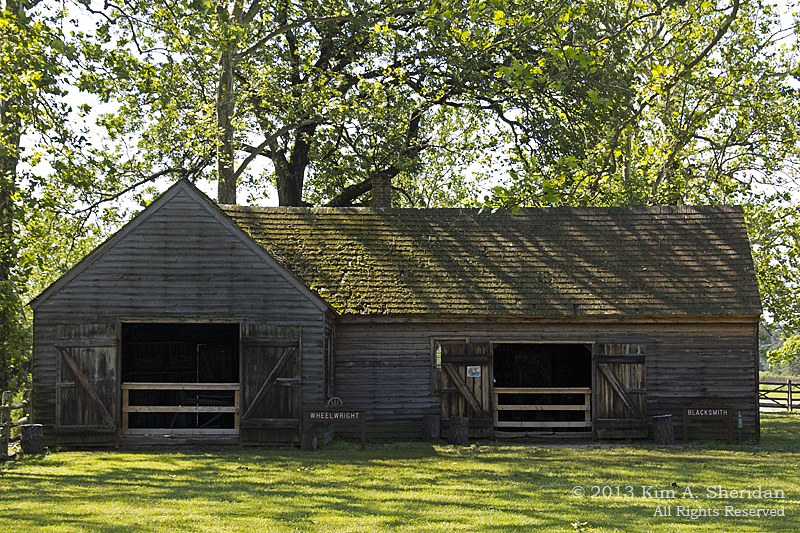 Compared with industrial areas today, it’s hard to believe this little collection of wood and stone buildings was considered a state-of-the-art industrial center back then. 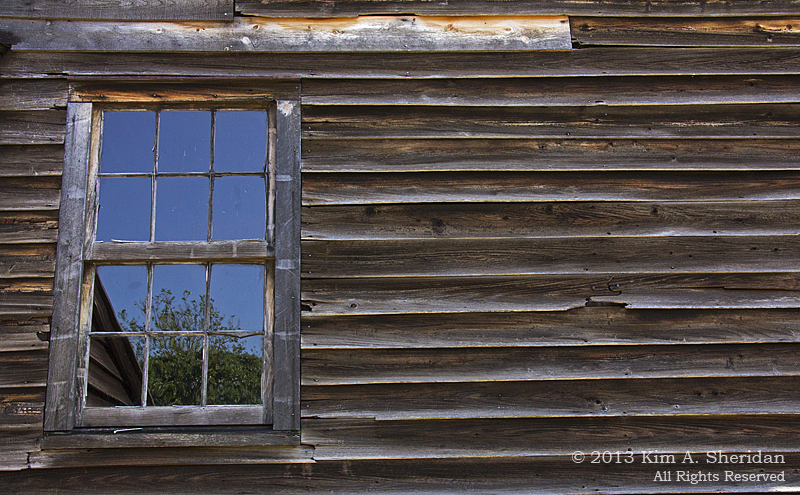 I was particularly taken by the wonderful textures and patterns of the weathered wood. And the very funky shape of the corn crib! 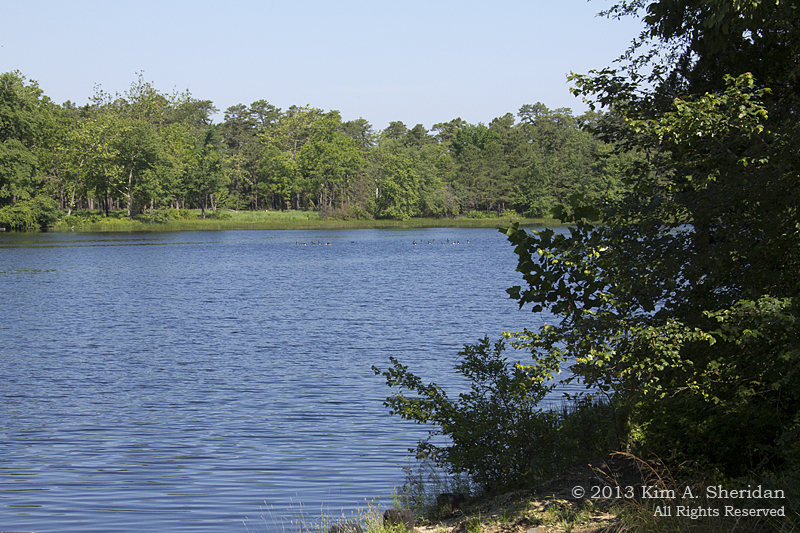 This entry was posted in History, Pine Barrens and tagged History, Pine Barrens by Kim. Bookmark the permalink.